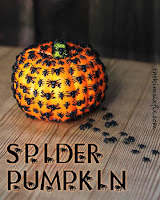 While I'm Waiting...: pumpkin inspiration + a giveaway! pumpkin inspiration + a giveaway! 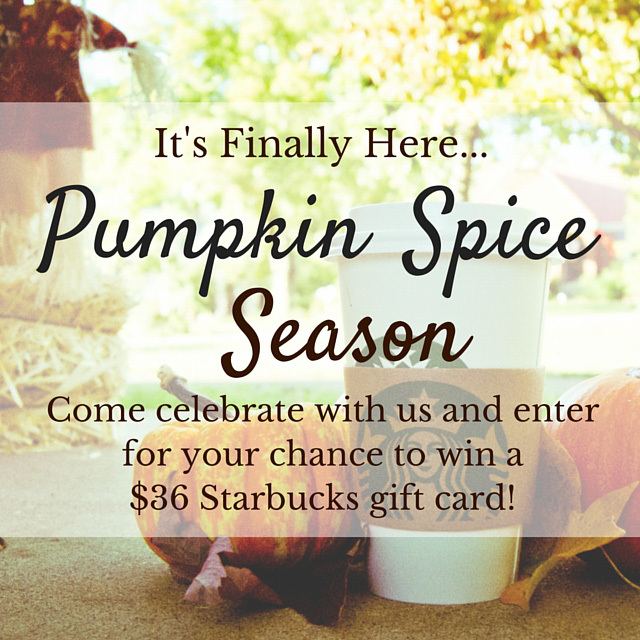 Today's the day that so many of you have been waiting on - Pumpkin Spice Lattes are back on the menu at Starbucks! Whoo hoo! Fall (with a side of pumpkin aroma) is definitely in the air now! 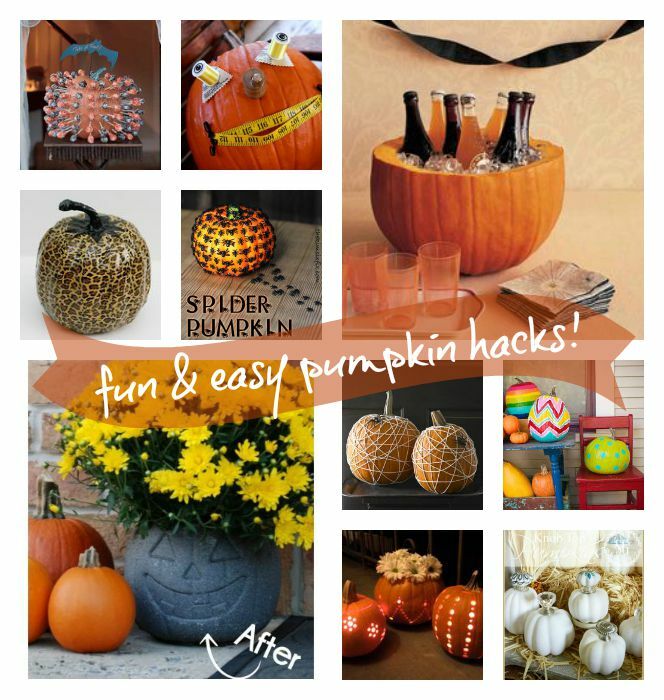 Since everyone will have pumpkins on the brain today, I wanted to inspire you even more with a few pumpkin hacks that we can all do! 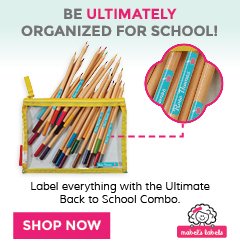 I love Pinterest but I can get overwhelmed quickly! I don't pin anything unless 1) I love it or 2) I think I can copy the heck out of it! 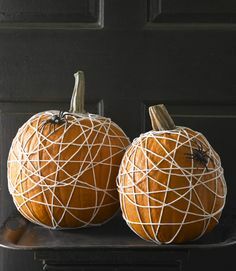 :) Here are a few pumpkin hacks I think we can all do! 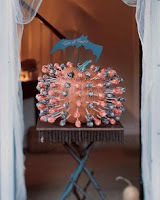 Lollipop Holder - This would be the perfect pumpkin hack if you wanted to pass out Halloween candy but didn't want to stay home. 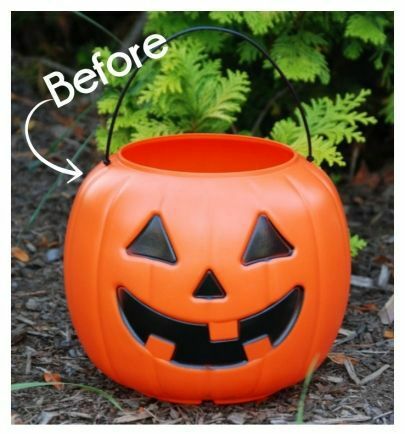 Leave this cute pumpkin on your front porch and the neighborhood kids can help themselves! 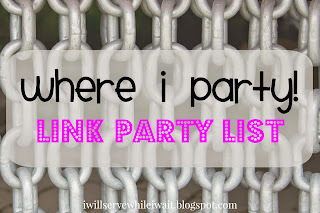 This would also be a cute idea for a classroom party! SEW inspired - This pumpkin isn't for everyone but I instantly knew my daughter, Holden, would LOVE it! Duck Tape - This would be a fun crafternoon idea for boys or girls! While I love the cheetah print, I think it would be just as cute with superhero duck tape! Eeek! Spiders! - I must admit that this one creeped me out a little but isn't that what Halloween is all about?! 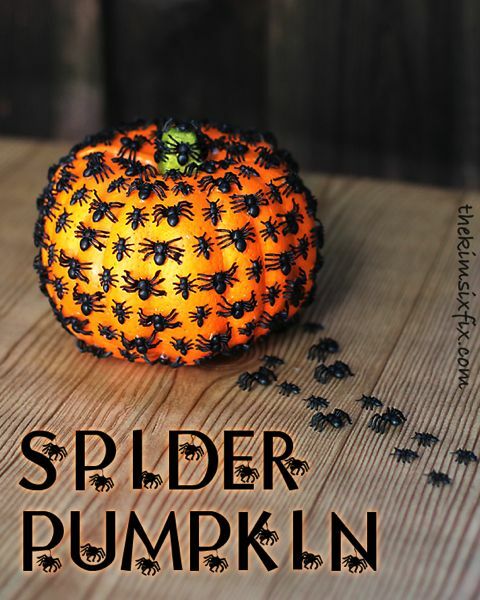 Kids would have so much fun gluing these creepy crawlers all over their pumpkin! From drab to fab! It saddens me to think how many of these little plastic pumpkins that I have thrown away over the year! Look how cute they can be with just a quick coat or two of spray paint! Wouldn't this be so fun at tailgate parties?! The Aggies play football on October 31st and I'm thinking this would be so much fun to make and take!!! Easy peasy! By now you know I'm all about easy - and I don't think you can get much easier than some twine and a plastic spider or two! I love how cute these turned out with little effort! 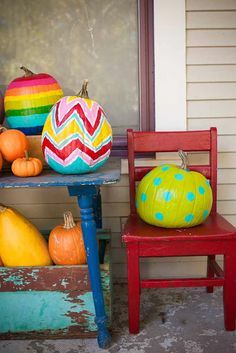 Painted pumpkins - Everyone can have an orange pumpkin but why not add a little color! 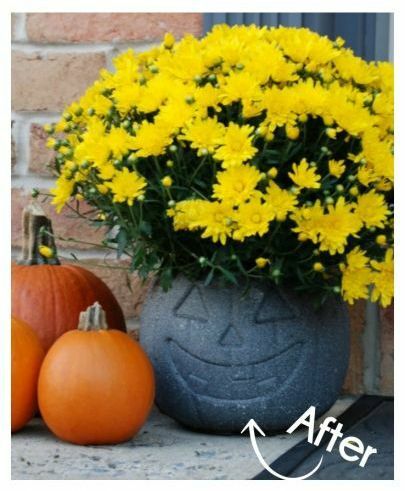 These colorful pumpkins will look adorable on your front porch! Power Tools to the rescue - You'll be the "best mom/dad ever" if you take this little trick to your kids classroom party!!! 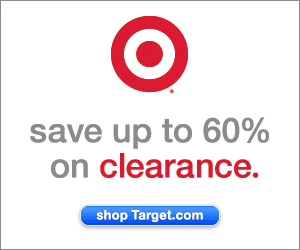 Guaranteed! We used this idea when Holden was in Kindergarten. The kids LOVED it!!! 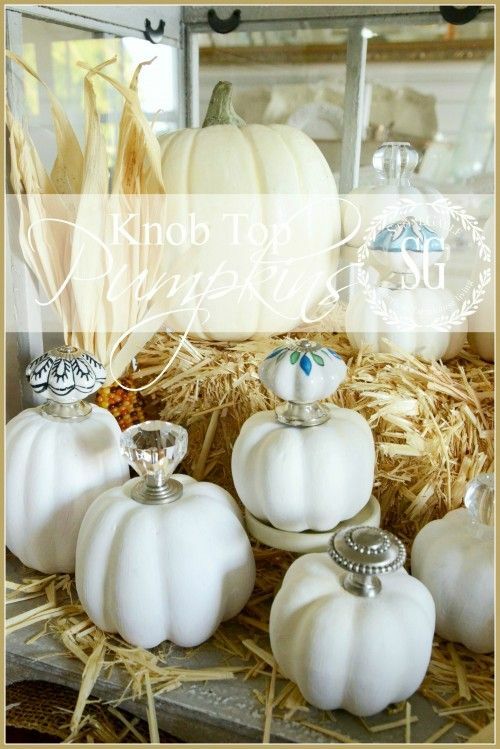 Knob Top - I saw this idea and instantly thought of my friend, Kim, at Hunt & Host! She makes beautiful things out of found objects all.the.time and I could see her coming up with something like this! I would have never thought to add knobs to pumpkins but I love how these turned out! And, to celebrate all things pumpkins, we've got a little giveaway for you! 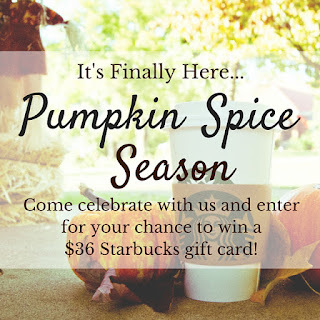 You could purchase quite a few pumpkin spice lattes with this fun giftcard to Starbucks! Good luck!!! I'm already looking forward to a crafternoon or two and adding a few new creations to our collection! 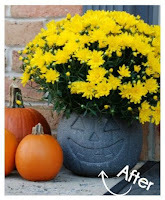 Much appreciation goes out to Kim from Hunt & Host for featuring my pumpkin inspiration post! What an honor! Thank you so much! I love those ideas! I did the "BOO" one last year along with one that spelled out Elks (our mascot). Thank you, Michelle! I like to hang on to summer as long as I can but I must say, looking up these ideas has got me wanting to pull out my fall decorations! Great ideas. I love the painted ones to decorate your doorway. We don't do this in England. That's so interesting, Francene! Do you guys celebrate Halloween? That spider one creeps me out a bit, too, lol! My daughter would love the drilling one though! The drilling one is AWESOME! The pulp comes out in these cute little curls! I know your daughter would love it!!! Thanks so much for stopping by! 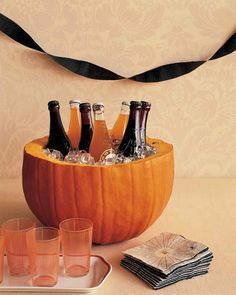 Totally want to do the initial pumpkin this year! I'm dying to get my fall stuff out. Right now I've settled for burning my vanilla pumpkin cheesecake candle all the time and my house smells so yummy! Yes ma'am! Or, at least that's what I've been told. I'm not a coffee drinker! Isn't that crazy?! I love the smell but don't love the taste! You'll have to share with me if you do any of these ideas!!! Especially painting the plastic buckets! I love the football pumpkin! Thanks! It's pretty easy to complete too! Thanks, Donna! And, this might be a super (duper!) silly question but can you explain Wordless Wednesday to me? Want to make sure I link up the correct content! :) Thanks so much for stopping by! What adorable pumpkins. I never thought to add pushpins to one for an easy monogram - How creative! It's really easy, Jaelan! Print out a large letter from your computer and then start tacking down. Remove the tacks and the paper. Your holes will still be there so you just start filling back in. I'm sure you could rip the paper away too. Be sure and share with me if you make it! Thanks so much for stopping by! Love ALL of these awesome ideas! 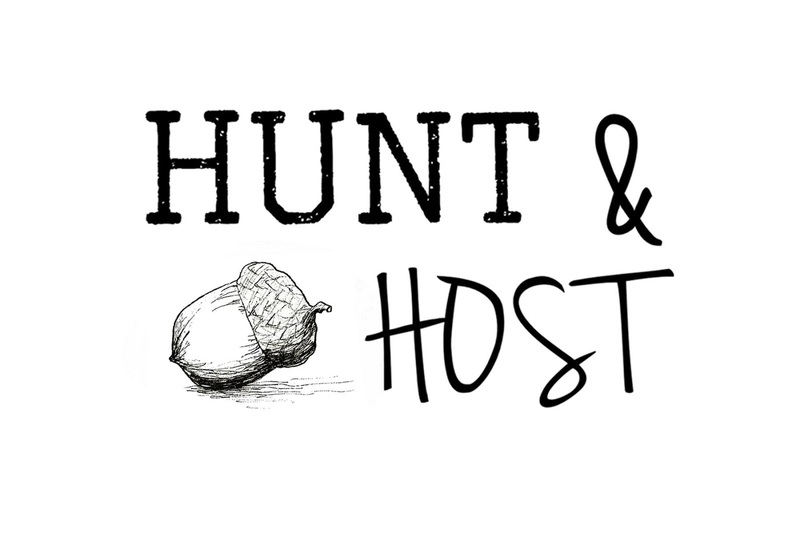 Thanks for hosting and for stopping by, Jenn! How cute! I have decided I am going to check the dollar store for plastic pumpkins to decorate so I can keep them year after year! Thanks for the ideas! Thank you! 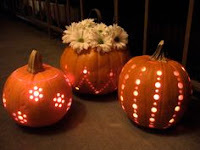 And, the dollar store is a great idea for the plastic pumpkins! I also like the lifelike ones at Michael's (as long as I can get them on sale!). :) Thanks so much for stopping by! Thank you for joining our Finding Fall Link Party. I really enjoyed your post. I am going to have to try two of your favorites. I love the pumpkin drink holder for tailgate parties. I have never seen that before and I love it. I also really like the lollipop holder. My kids are really going to enjoy it. Thanks for hosting, Sandy! And, thanks for stopping by! You'll have to share with me what you make!